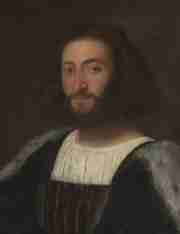 Comprehensive information about Ludovico Ariosto including biographical information, facts, literary works, and more. Ludovico Ariosto, an illustrious Italian poet, born at Reggio, in Lombardy; spent his life chiefly in Ferrara, mostly in poverty; his great work "Orlando Furioso" (q. v.), published the first edition, in 40 cantos, in 1516, and the third in 46 cantos, in 1532; the work is so called from the chief subject of it, the madness of Roland induced by the loss of his lady-love through her marriage to another (1474-1532). This educational Ludovico Ariosto resource has information about the author's life, works, quotations, articles and essays, and more. Articles about Ludovico Ariosto or articles that mention Ludovico Ariosto. Here are a few random quotes by Ludovico Ariosto. Nature made him, and then broke the mold.